welcome to www.hostelguide.de, the free hostel & travel link collection! Hostel Blues is large hostel located in a restored residential building directly in the city centre. The only "Boutique Hostel" in Paris, where style, comfort and value all connect ! 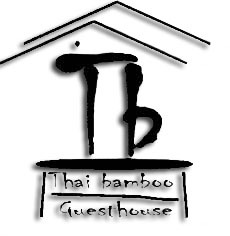 Thai-bamboo Guesthouse Resort in thailand cha-am: we are 7km from the beach but we offer a free shuttle every morning to the beach at 11:00 am! We have 4 bungalows and pool and now also for low budget traveller we able to rent tents for you! the resort is pet friendly which means your dog is welcome! enjoy a resort close to the local thai people in the countryside...use our bicycles and have aride through the ricefields or to the mountains! NapPark Hostel @ Khao San is a newly renovated must-stay hostel experience in Bangkok. Perfectly located within Khao San area where you can explore bangkok and thailand easily. Guesthouse Palshus is located in Einarsnes 58, Skerjafirði in the west part of city centre Reykjavik. 15-20 minutes walk is to the center of old town Reykjavik. Great walking paths are around Guesthouse Palshus for example to the Thermal beach (Nauthólsvik), the Pearl (Perlan) and along the sea.